March 8-10, 2019, Mount Saint Francis, Cochrane, AB. Lent 2019 begins on Ash Wednesday, March 6 and concludes on Maundy Thursday, April 18. As we do every year at this time, we invite you to deepen your experience of this holy season by joining us in spiritual retreat. This year’s Lent Retreat is led by our Teaching Pastor, David Harvey, and University of Calgary Chaplain, Spiritual Animator, and friend of Westside King’s Church, Phil Aud. 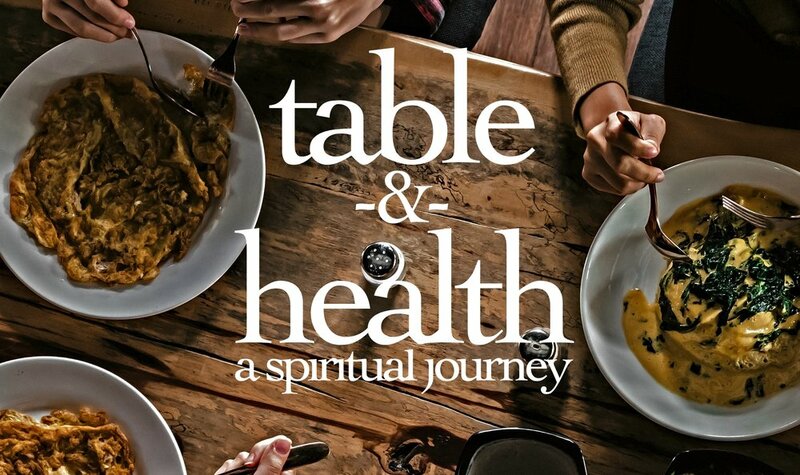 Our theme Table and Health: A Spiritual Journey invites us to consider the theology of food. Food is an ever-present in our lives yet rarely considered for its spiritual depth and value to us. So join us on a weekend journey that will begin by considering how food is God's most basic way of saying, "I love you", and lead us through conversations about life, family, community, and God. Talks, guided prayers, prayer and conversation will form the essence of these very special days. Make the investment of a weekend. You will be changed. Mount St. Francis is a Franciscan friary and retreat centre located near Cochrane, AB (mountstfrancis.ca). It is situated on 500 acres among the beauty of the Rocky Mountain foothills. Simple, clean rooms contain a single bed, desk, and sink. Bedding and towels are supplied. Delicious wholesome dining. The address is 41160 Retreat Road, Cochrane, AB, T4C 1W7. Option 1 | Residential $280 (Sale price $250) - the full experience includes two nights accommodation (single rooms), meals, access to friary library and grounds, and all teaching sessions. We think this is the best option. Registration is currently discounted at $250 until February 25 and will return to full price of $280 after this. Option 2 | Non-Residential $170 - everything above but without the stay over. If you absolutely must stay at home in your own bed, but want to fully participate in the weekend, the cost is $170. We expect persons who take this option to participate in all meals and sessions. Bookings: To register and pay for Lent Retreat 2019 click the option below. This will allow you to choose your option and confirm your registration. Please contact us if you have any problems registering in this way. Refunds subject to $50 cancellation fee. No refunds after February 28. Sponsorship: This year you can sponsor someone else to attend Lent Retreat. Choose from either full or 50% sponsorship by selecting the option below.